With the rapid growth of the tourism industry in Bali, Denpasar has encouraged and promoted business activities and ventures, contributing to it having the highest growth rate in Bali Province. The municipality's area extent, population, and density are similar to San Francisco. Denpasar is located at a height of 0–75 mdpl. While the total area of 127.78 km² or 2.18% of the total area of Bali Province. From the use of land, 2,768 hectares of land are paddy, 10,001 hectares are dry land, while the remaining land area is 9 hectares. Badung River divides Denpasar, after which the river empties into the Gulf of Benoa. Denpasar, located just south of the equator, has a tropical wet and dry climate (Köppen climate classification Aw), with hot and humid weather year-round. Due to this there is little temperature change throughout the year, with temperatures averaging about 28 degrees Celsius. The year is divided into two seasons: wet and dry. The wet season lasts roughly from November to April, while the dry season lasts from May to October. The real Bali was known for its mud walls and thatched gates. However, gated residential developments and shop houses now characterize urban Bali. During the late 19th century, the built environment was being constructed based on the political situation of the city. This resulted in the residence of the ruling family becoming the center of the city. Market squares played an important role in the Badung kingdom, and it continued to do so when the colonial powers came to exert control over Bali. Over the course of the 20th century, Denpasar faced the challenges of changing urban landscapes brought about by political changes. The developments that were brought about by the colonial powers were regarded as eroding the indigenous culture of Bali. 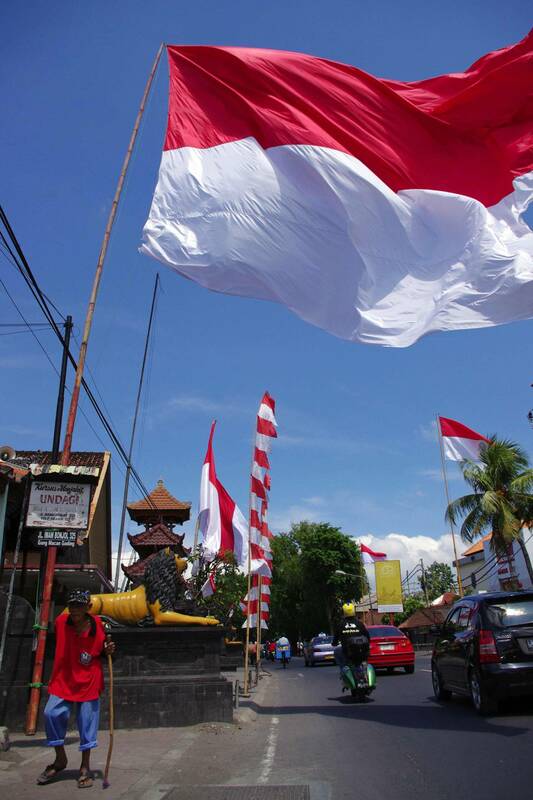 Although Denpasar became known as a ‘settler city’, there was still a strong attachment to the indigenous culture. Denpasar has undergone massive unplanned development during the 21st century, due to the expansion of tourism leading to the construction of increasingly more modern facilities in the heart of the city. Nonetheless, the market square still plays an important role, with its façade representing traditional elements of the Balinese culture. Denpasar has various attractions. The white sandy beaches are well-known all over the island. The surfing beach is Serangan Island. Sanur beach has calmer waters and is excellent for sunbathing and kitesurfing. Ten minutes from the Ngurah Rai International Airport lies the town of Kuta, where most of the hotels, restaurants, malls, cafes, marketplaces, and spas that cater to tourists are located. In the Denpasar area, all kinds of Balinese handicrafts are represented in local shops. These include artwork, pottery, textiles, and silver. Batik cloth is sold all over Denpasar, and batik sarongs and men's shirts are widely available. While arts and culture in Denpasar are largely synonymous with that of Hindu art and culture, there has also been a high level of interaction with other cultures that accompanied the arrival of visitors from all walks of life. Traditional values inspired by Hindu religious rituals still strongly influence the city. Traditional Balinese culture is still deeply rooted in Denpasar. It may include values, norms and behavior in society based on patrilineal kinship systems. However, over time many of the customary laws have been disputed by people, especially regarding matters of gender and inheritance. Pura Jagatnatha is the most important Hindu temple of Denpasar. It was built in 1953. Puri Pemecutan is the former royal palace of Denpasar, which was destroyed in a fire during the Dutch intervention in Bali (1906). The palace was rebuilt in a comparatively modest style and can be visited. Pura Maospahit is a Hindu temple which was built in the 14th century and heavily damaged by the 1917 Bali earthquake and rebuilt afterwards. 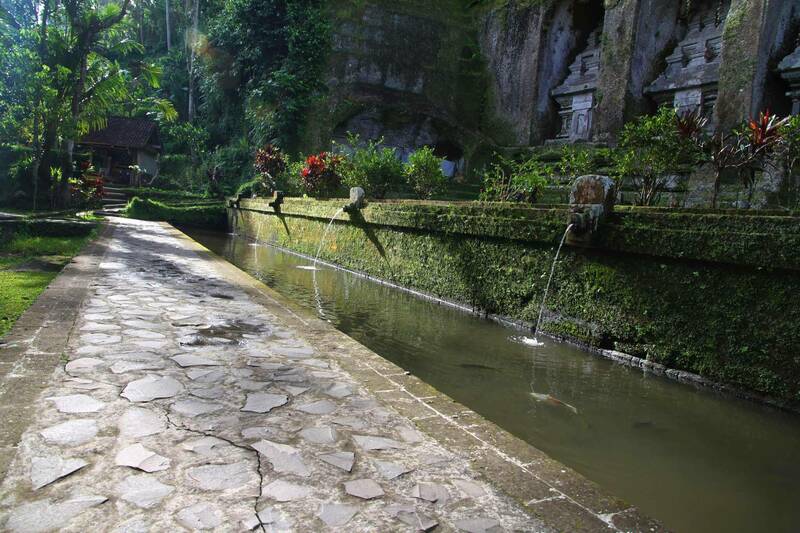 The temple houses two impressive statues of Garuda and Batara Bayu, a mystic giant. St. Joseph Church is a Roman Catholic church built in a Hindu style. 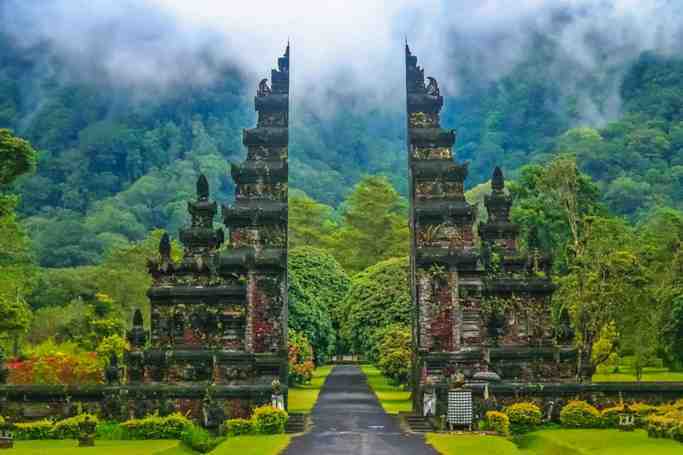 Denpasar City Tour There’s no better way to take a deep dive into the rich cultural heritage of Bali, both historical and contemporary, than via this exploration of the island’s most-populous city. Bajra Sandhi Monument is a major landmark in Denpasar, set right in the centre of the Renon Square (otherwise locally referred to simply as, ‘Puputan Renon’). The site is adjacent the Bali Governor’s office, and is hard to miss with its grand structure that resembles a Balinese Hindu priest’s praying bell, or ‘bajra’. Inside the base is a museum that displays various historical dioramas of the people’s past struggle for ndependence. The city is served by Ngurah Rai International Airport, one of the busiest in Indonesia. Benoa Harbour is the entrance to the Denpasar by sea and is currently managed by PT Pelindo III. The port is located about 10 km from the city center, and has been operating since 1924. Public transport in Denpasar, especially for urban transportation, is becoming ineffective and inefficient. Public transport is not popular, and is used by only about 3% of the total population. Meanwhile, the growth of private vehicle ownership is at 11% per year and is not comparable with the construction of new roads. Congestion in the city of Denpasar is unavoidable due to this reason. The city operate a bus rapid transit system called Trans Sarbagita. Two main routes and some feeder lines are operated daily from 5 a.m. until 9 p.m. There is no dedicated lane for the buses: they run on main streets. An underpass at the Dewa Ruci intersection was opened. It is slightly beyond the bounds of Denpasar but was co-financed by the town because of the expected positive effects on traffic in Denpasar. Then the four-lane Bali Mandara Toll Road connect Benoa Harbor, Ngurah Rai Airport, and Nusa Dua.